Our work prioritises consumer protection and satisfaction. This is why we partner with industry leading organisations and comply with associated regulations. For more information on these partnerships and how they affect your bookings, please contact the team on 01625 446 277. As part of the WIN Travel Network, Review Travel works with like-minded business travel agencies from across the globe to manage the international business travel requirements of clients with a global presence. 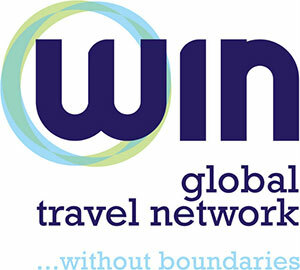 Our membership with WIN provides our customers with access to corporate travel experts in over 70 countries. Membership of the network also permits access to exclusive travel discounts, the most competitive rates and the most efficient booking processes as a result of the network’s combined turnover in excess of $15billion to leverage the best rates and fares for our clients. As an active member of the Advantage Focus, Review Travel have access to the best rates in the marketplace across a range of business travel products including flights, hotels, car hire and rail. Advantage Focus is the only organisation of its size that is solely owned by the member partners. With a collective turnover of £3 billion it means we have the buying power to compete on an equal basis with any of our competitors. We want to ensure your data is secure and safe, that is why we hold a Cyber Essentials standard. Holding an IATA licence means we can deliver a complete and sustainable air service to our clients providing us with the ability to offer passengers convenient air travel. As a member of the Association of British Travel Agents we are recognised for providing our clients with expert travel advice, guidance, protection and service. As a member of ATOC, we can provide the same services as Train Operating Companies and the ability to be the voice for our rail passengers.